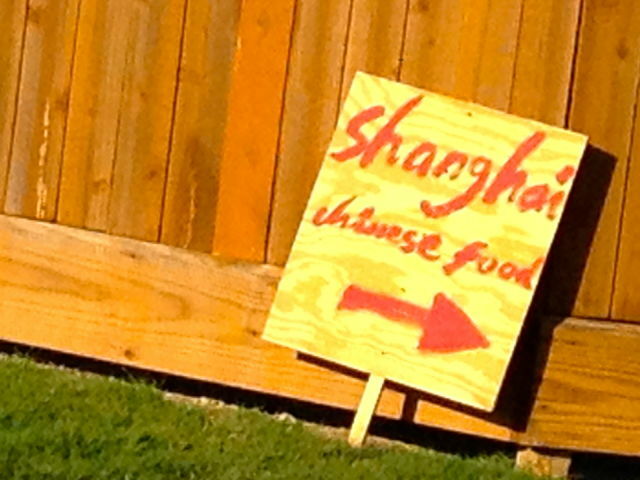 We were flying a kite with the kids at a park on Kimberly west of Kirkwood when we noticed a little plywood sign near the parking lot with an arrow and the legend Shanghai Chinese Food. I haven't had a good Shanghai-style dumpling since the little Shanghai food store in Hong Kong City Mall closed, and I love a good bowl of Shanghai noodles. My mouth was watering the whole time we were flying kites and when the time came to pack up the minivan and head home, I nearly caused an accident navigating around the intersection to follow the plywood signs. Visions of a secret weekend-only restaurant located in someone's private home flashed through my imagination. The first sign led to a second sign, and the second to a third and fourth. 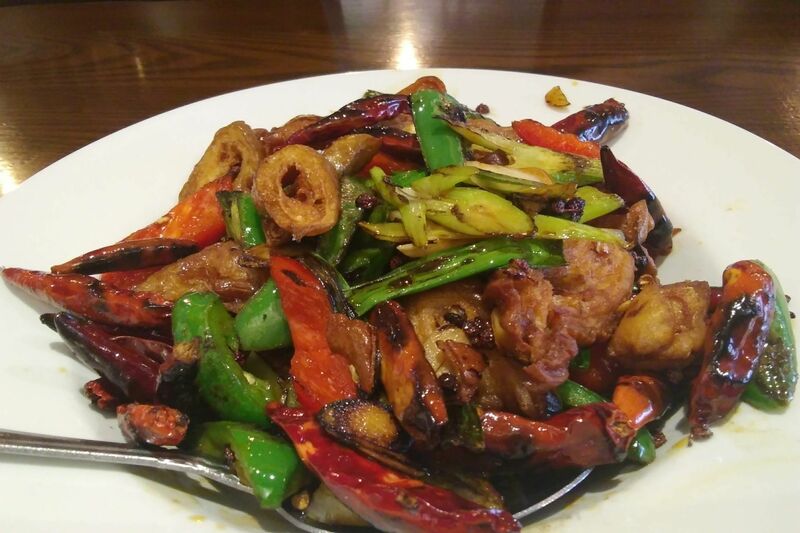 Finally, we ended up in the parking lot of a new Chinese restaurant called Shanghai tucked in the back of a strip center on the eastbound access road of the Katy Freeway, just west of Kirkwood. 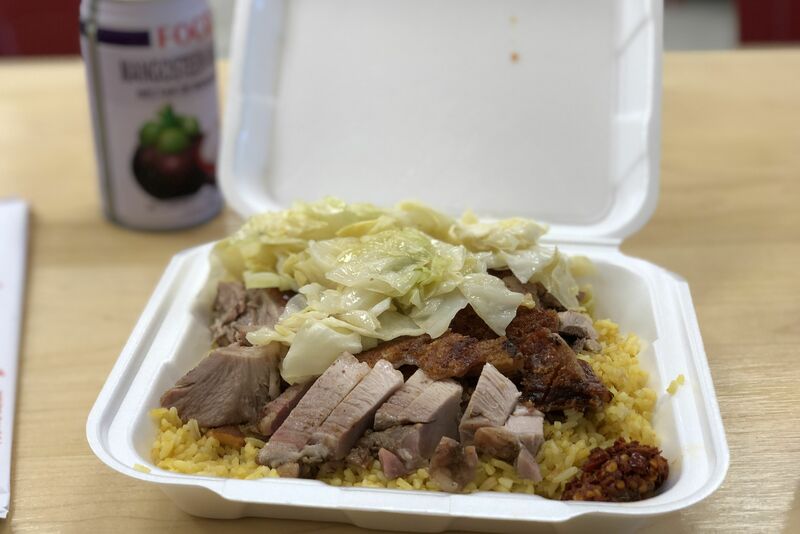 After we got over the disappointment of not finding some great Chinese home cooking, and the resentment at getting "Shanghaied" by the handmade signs, we forgave the owners. The restaurant is hidden from view as you drive down the highway feeder, and if it wasn't for the signs, nobody would ever find this place. 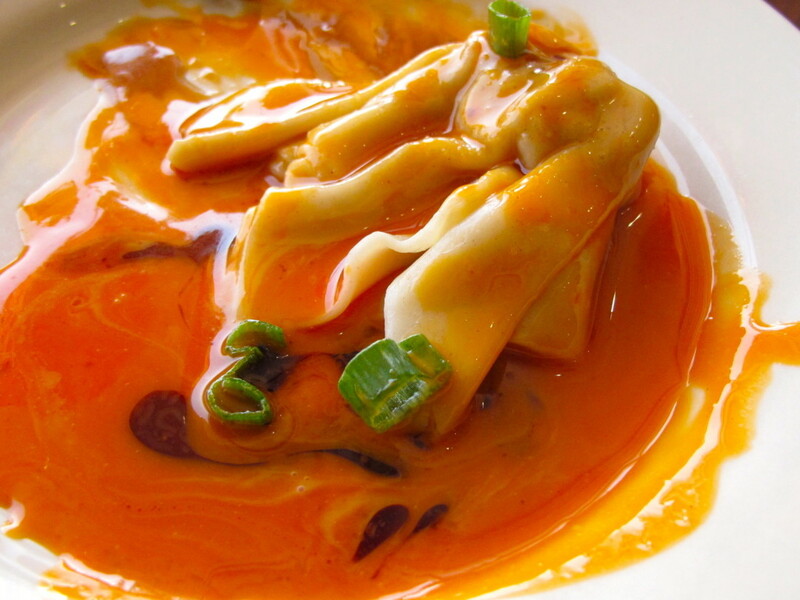 We didn't have high hopes when the waitress delivered a bowl of fried wonton wrapper strips and a little bowl of sweet orange sauce as our "chips and dip" while we looked over the time-warp Chinese restaurant menu. 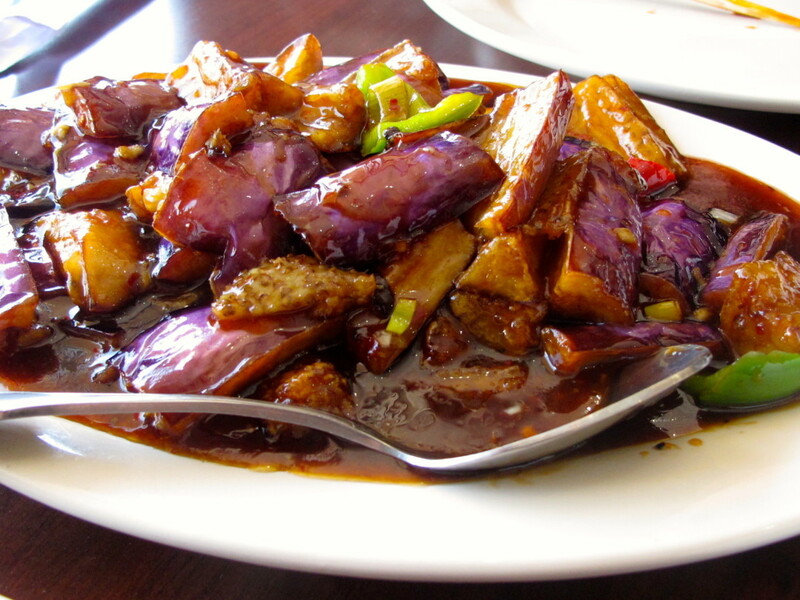 When's the last time you had Chop Suey, Chow Mein or Egg Foo Young? We ordered the "Szechuan Spicy Wonton" appetizer ($3.95), which comes with ten fantop dumplings swimming in that spicy peanut butter and chili oil sauce that most of us associate with dan dan noodles--these dumplings were plenty hot. The "Eggplant Garlic Sauce" ($8.25) wasn't bad either. 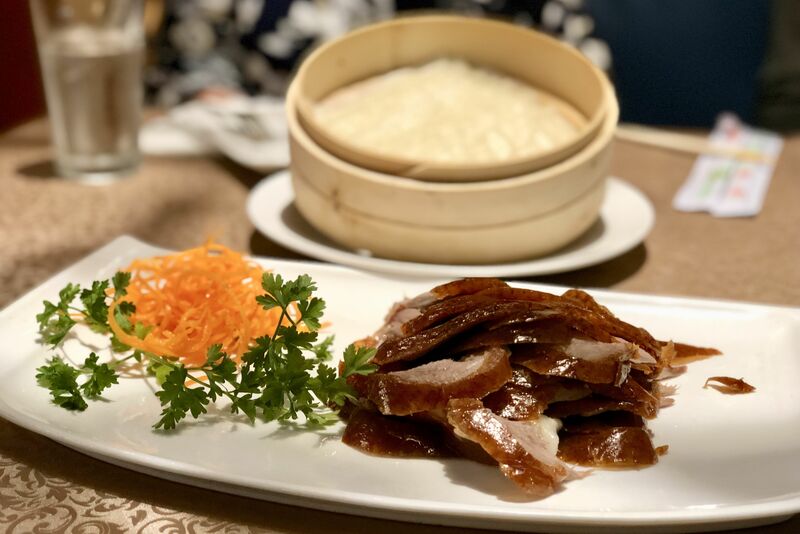 It was cooked to a perfect velvety texture and the garlic and Szechuan peppers gave it a nice zing, but it was a little too sweet for our tastes. The menu advertises no MSG, white meat chicken, and low cholesterol frying oil. 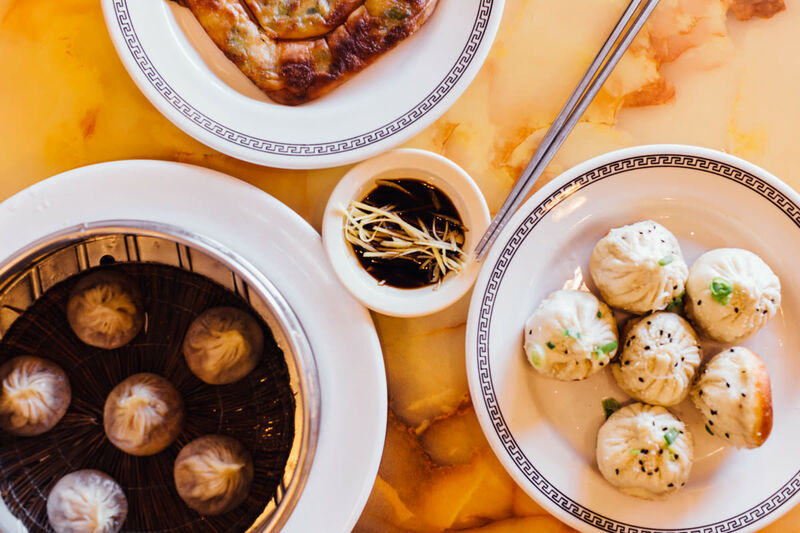 Maybe this isn't the Chinese restaurant of your dreams, but if you are flying kites in the neighborhood, you could do worse.